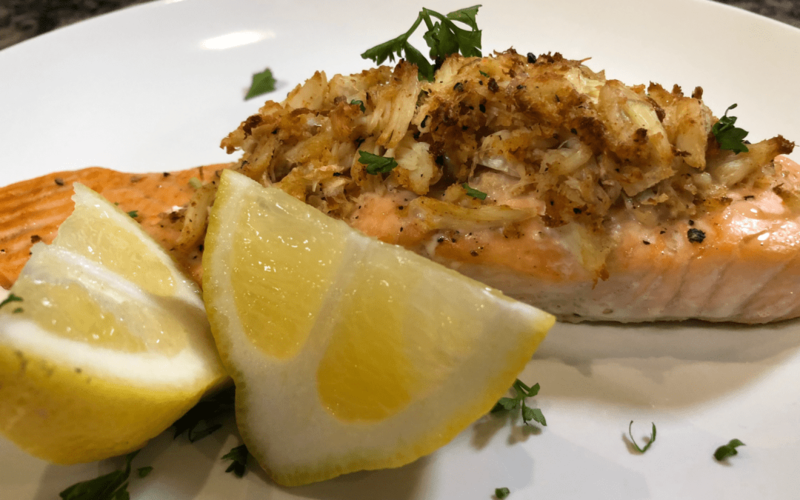 This is one of my favorite ways to make Salmon. It’s easy to make but works great when you’re ready to impress dinner guests. Homemade crab filling is the way to go to bring your broiled salmon to the next level. Open the slit and pack the crab into the salmon fillet. You can be very generous with this. Then switch the oven to broil. Visit me at KatsCooking.com or google #KatsCookingAdventures for more !